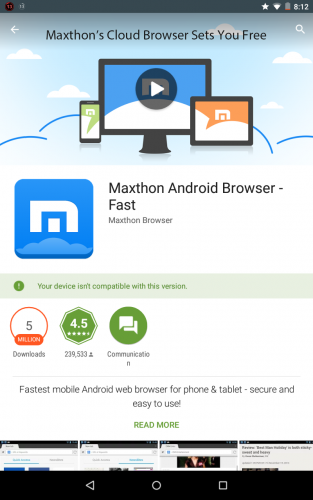 Maxthon not available on Android 5! android issue Maxthon not available on Android 5! Why Maxthon is still not available for Android 5? It seems that all development on Android, Windows Phone and the iOS versions has stalled and have no idea why as there is no word from anyone. Here we conducted a test on nexus5 android5 and Maxthon works fine. Could you please let us know what device model are you using? 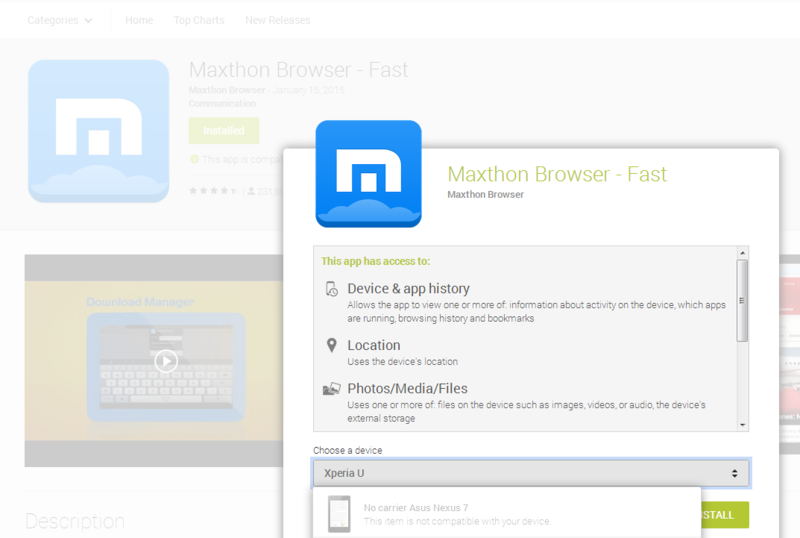 Obviously Maxthon worked perfectly (and was available through Google Play) before upgrading from Android 4.4 on this device. Why there is still no answer from MxTeam about this issue? The problem of your's is caused by the hardware of Nexus7, it doesn't match the adapter rules of Google play（Version of Android 5). We have submit this bug to our development Dep, they will try their best to fix it in our next version which will publish in the end of this month. Any other questions please feel free to tell me. No, the problem is not hardware - because I didnt change the hardware of my tablet at any time ;) (it is not possible)... hardware is the same and before Maxthon was working fine. It works on the Samsung Galaxy S5 after installing the Android 5.0 update. 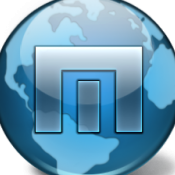 I've had no problems with Maxthon for any version of android including on lollipop, 5.0.2. 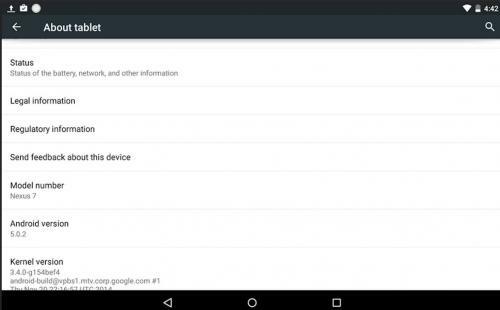 I'm using Nexus 7 2013. 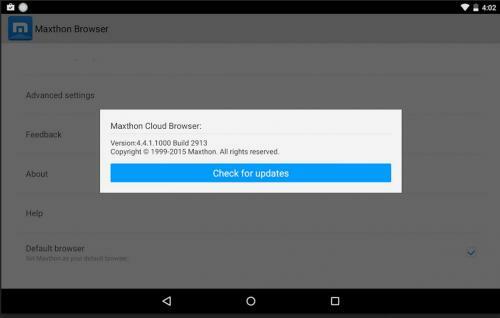 Maxthon has been being updated automatically since Lollipop came out, I don't even check for updates. Unfortunately for me, I have nexus 7(2012) with 5.1 update, and max 4.4.1.1000. Every time I use max it crashes... I clean out cache with clean master app and it works fine for a few minutes then the max crashes... Which then crashes the entire system. 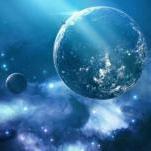 Hope you are able to get to the bottom of this issue.